Attendees with mobility problems will also appreciate that Stonehouse Park is much flatter than the previous location which was very hilly, spread out, and challenging to walk. The topography of Stonehouse is still diverse, with wooded area and a pond to swim in, but the lack hills and steep trails makes it much easier for people to attend the various events, workshops, and concerts. Some of the musical performers this year are Spiral Rythm, Shibaten, Arthur Hinds, Tuatha Dea, Murphey’s Midnight Rounders, Ruth Barrett, Spellsinger, and Watersprite. The list of workshops can be found here. 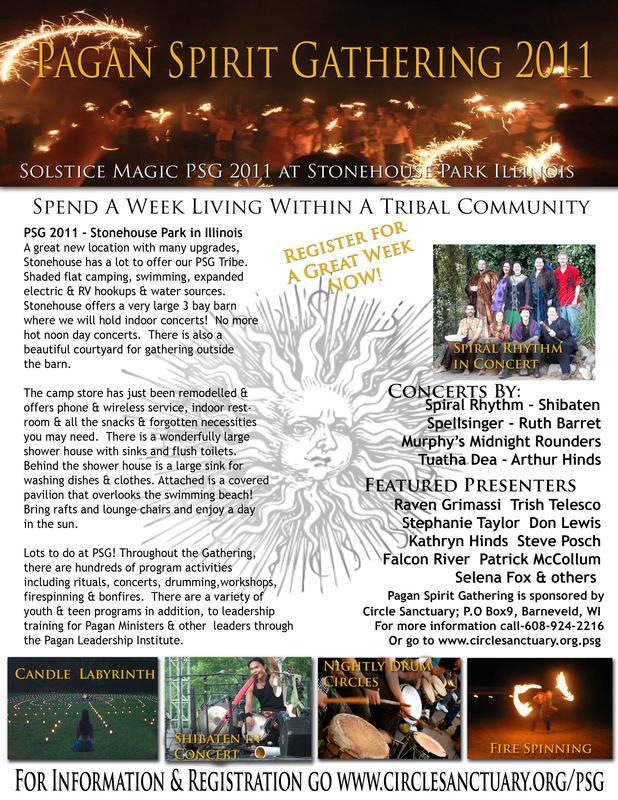 Click the photo to see PGS brochure.